CHARLOTTE MINICON :: THIS SATURDAY :: JUST ADDED: BABS TARR! 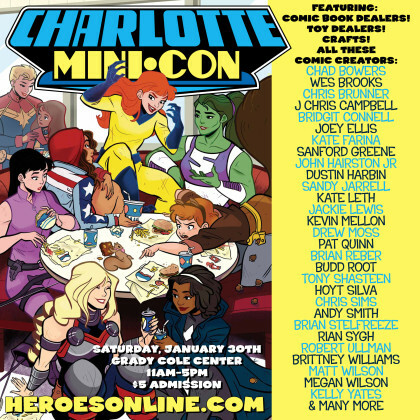 Get your Charlotte MiniCon Tickets today! Please use #CLTMiniCon to talk about the show on social media! Please bring a non-perishable food item for Second Harvest Food Bank of Metrolina because you care about the community, this will not affect the price of admission. Thank you! 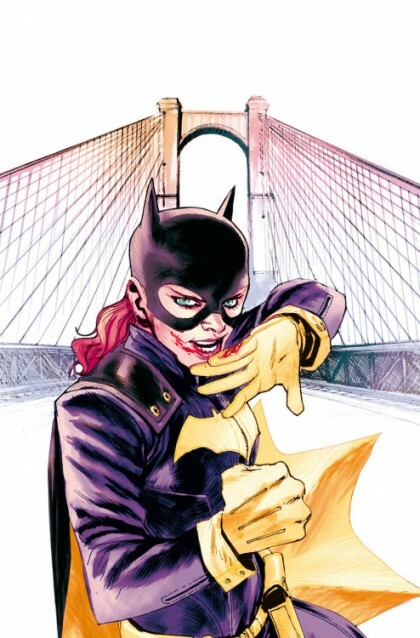 MATT’S PICK :: BATGIRL: ENDGAME #1: I can say without reservation this comic book will be very nice to look at! Wicked-awesome good-girl-art French gentleman Bengal not only drew this book, but he also colored it! Please do your eyeballs a favor and pick up this comic! I believe the story should be pretty decent, as well – The Joker (or his minions) are featured within. It should prove to be a win/win for your weekly comic fixation. From what I gather, this is a stand alone book – it should be acceptable for the curious reader. I enjoy the ongoing series (which is also being released this week). 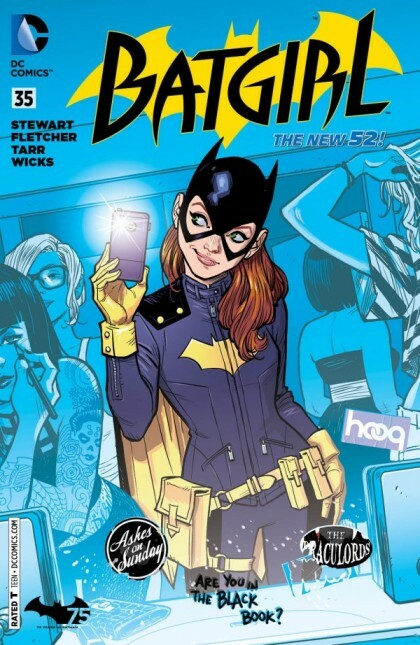 There will be no shortage of Batgirl goodness available at Heroes on Wednesday! Lucky us!